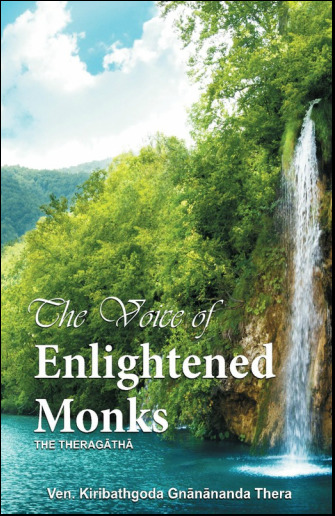 From this book you will learn about the lives and enlightenment of monks who followed the Buddha's path to the final end. This is a complete translation of the Theragatha. Available on-line at Amazon.com as a paperback or Kindle Edition. Also available at our self serve bookshop. Also available as a Kindle book for electronic download. You can download a sample of the first chapter. 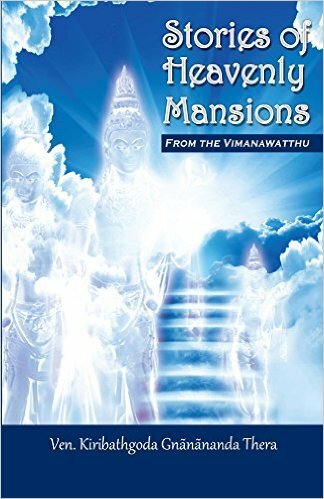 From this book you will learn about the gods that live in the highest heavens, the brahma realms. You will see how arrogant gods became disciples of the Buddha. 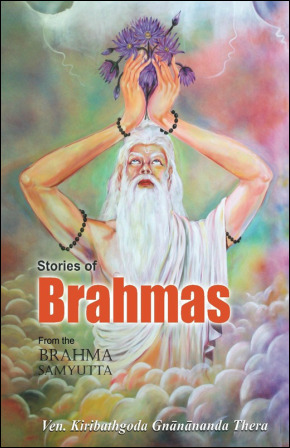 These stories are a translation of the Brahma Samyutta found in the Samyutta Nikaya. For the most part, human beings cannot see all of the results of their good and bad actions. Because of this, people often doubt the benefit of doing good things and the danger of doing bad things. Fortunately, the Buddha taught all about the results of actions. In this book you will learn about gods and goddesses who did wholesome actions in their previous human lives. You will be able to understand how powerful the results of doing good things can be. Available in our bookshop and on-line at Amazon.com. Also available as a Kindle book for electronic download. The first chapter can be viewed on line. This book of sacred teachings of the Buddha is filled with suttas that offer protection in the world and release from it. It includes all of the traditional chants along with important suttas such as the Lokavabodha Sutta and Dhamma Cetia Sutta. 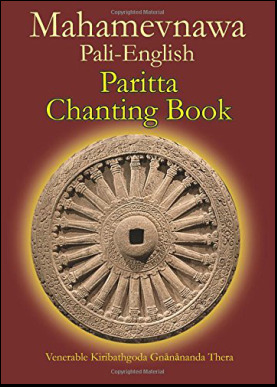 All are translated into simple English alternating with the original Pali. English can be easily chanted. Available on-line at Amazon.com or from our bookshop. We also have a sample available for download. Most of us are able to see beings who have been reborn in the human realm and many of the beings born in the animal realm. But it is very rare to have the opportunity to witness for ourselves the suffering experienced by those beings born in the ghost realm. Our great teacher, the Supreme Buddha, had an excellent knowledge and vision to be able to see these beings as well as the action that led to the suffering that they experience. 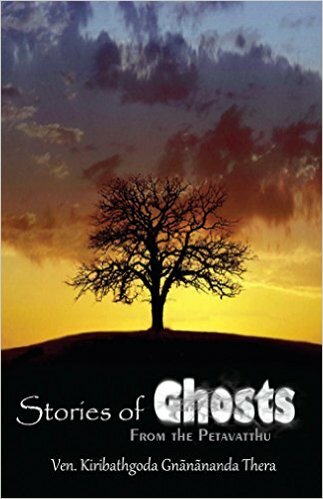 In this book, Stories of Ghosts, we can learn about many kinds of ghosts and the bad actions they did to be reborn in the ghost world. Some ghosts had done bad actions with their body, such as the former deer hunter who, in the ghost world, was torn to shreds by dogs day after day. Other ghosts had done bad things with their speech, such as the ghost who had the mouth of a pig. Even our mental actions can lead to rebirth as a ghost. In this book you will learn about the ghost who held many wrong views and because of that was eventually going to be born in hell for many eons. Some ghosts experience suffering because of not doing things such as practicing generosity. Because it is not easy to see the results of our own actions immediately, the information in this book will help us to make wise choices about what we do and don't do. Available in our bookshop and on-line at Amazon.com. Also available as a Kindle book for electronic download. You can also read it on-line here. 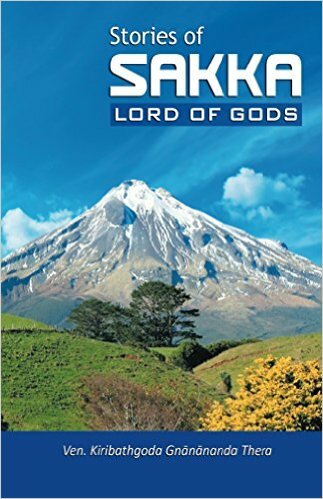 In this book you will learn about the life of Sakka, the lord of the gods. 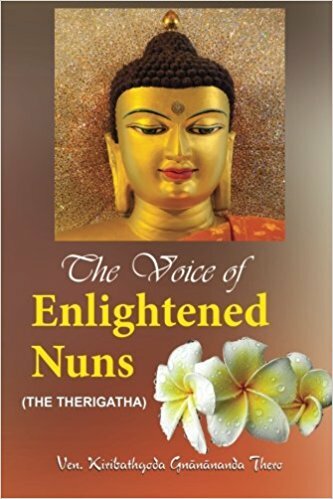 You will hear many of his conversations with the Buddha as well as debates with other gods. Additionally, you will learn about Sakka's previous life as a human and the good actions he did that lead to his rebirth as a god. This is a translation of the Sakka Samyutta from the Samyutta Nikaya. Available in our bookshop and on-line at Amazon.com as well as other Amazon stores. Also available as a Kindle book for electronic download, or a PDF download. 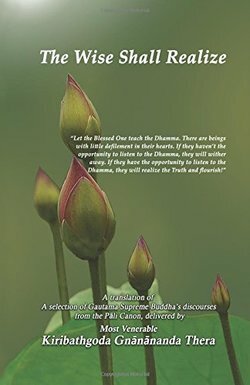 The Wise Shall Realize, the latest collection of English sutta desananas from Mahamegha, contains six discourses along with the story of Lokusvaminwahanse's journey seeking the Nobel Eightfold path. What is the best way we can help our friends? In the Mittamacca Sutta we learn that the Supreme Buddha wanted us to help our friends by establishing them in unshakable confidence in the Supreme Buddha, Supreme Dhamma, and Supreme Sangha as well as in unbreakable virtue. What should a lay disciple spend their time thinking about? In the Mahanama sutta the Supreme Buddha teaches the recollections we should practice all the time. If we saw the world in the same way the Supreme Buddha did, we would not experience suffering. In the Mahadukkhakkhanda Sutta we lean about our distorted perception of the world. Is it possible for a wise person to turn away from the lures of sensuality? In the Malunkyaputta sutta the Blessed One teaches his disciples a method for doing just that. The Gotama sutta explains the Supreme Buddha's discovery of dependent origination as the direct path for putting an end to this round of samsara. And in the Ananada Sutta, the Blessed One teaches the connection between anapanasati, the four foundations of mindfulness and the seven factors of enlightenment as a path to bring clear knowing and release to completion. Finally, you will get to read a brief account of Lokusvaminwahanse's life story and his efforts to realize the Dhamma. Available in our bookshop and on-line at Amazon.com (.ca, .uk, etc). Also available as a Kindle book for electronic download. You can also read it on-line from our main monastery's website.